Egypt has always been criticized for its air’s pollution and deteriorating quality, but according to the Yale’s 2018 Environmental Performance Index, the country has jumped to the 66th place out of 108 countries. The new rank is almost 40 points up from last year’s 104th place. The Yale University-issued index ranked 180 countries according to 24 performance indicators across various categories that cover environmental health and ecosystem vitality. In other words, it is a way for countries to know how effective their environmental policies are, and if they are treading on the green path or not. With this in mind, Egypt has certainly been improving when it comes to preserving the environment and lowering pollution levels. Prior to this report, Egypt had been put under scrutiny for its air, water, and land pollution. These, of course, were results of the country’s growing population, high exhaust emission, and lack of environmentally sustainable solutions. However, it’s all changing as the country ranked 32nd when it comes to air quality compared to global standards. With 43,000 Egyptians dying every year of diseases related to air pollution, Egypt is doing the right thing by imposing additional environmental sanctions, as well as working on improving overall quality of life. Both the public sector and the private sector in the country are working on actively implementing environmentally sustainable solutions, such introducing electric cars and electric buses to its infrastructure. When it comes to water pollution, Egypt did not perform as well; the country got the 119th place out of 180 countries. The River Nile is our main water source and despite its integrity to the Egyptian community, people keep on polluting it. Unfortunately, the most common diseases in the country is bacterial diarrhea, typhoid fever, and schistosomiasis, which all are connected to water pollution and water sanitation. 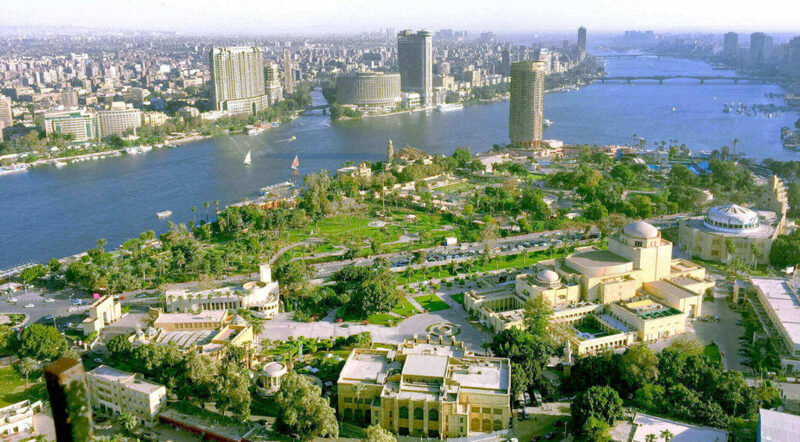 However, Egyptians are well aware of the issue and are taking initiatives to clean the Nile. For instance, the non-profit organization, Bassita, in collaboration with Greenish, launched the campaign “Very Nile” to clean up the Nile River and its shores. After its staggering success, tonnes of trash were removed and people were promised another edition covering a longer distance. WE SAID THIS: Pretty soon, Egypt’s bad air reputation will come to an end!